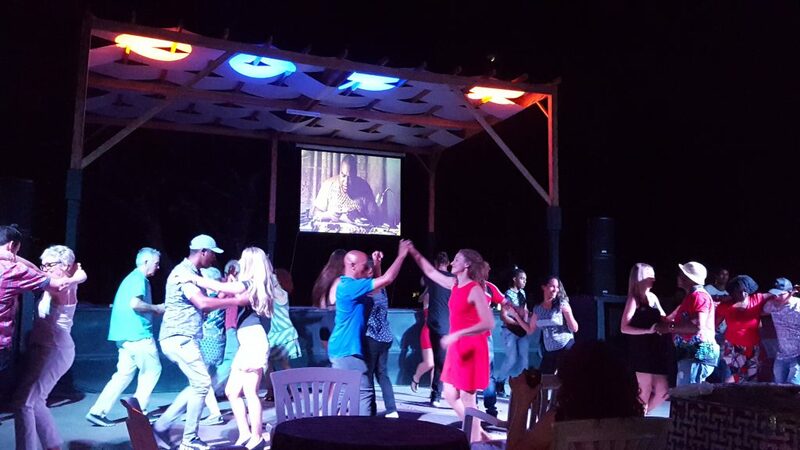 This past March/April 2017, I went to Cuba for the third time, following on the research path that I opened there when I joined Modern Moves. 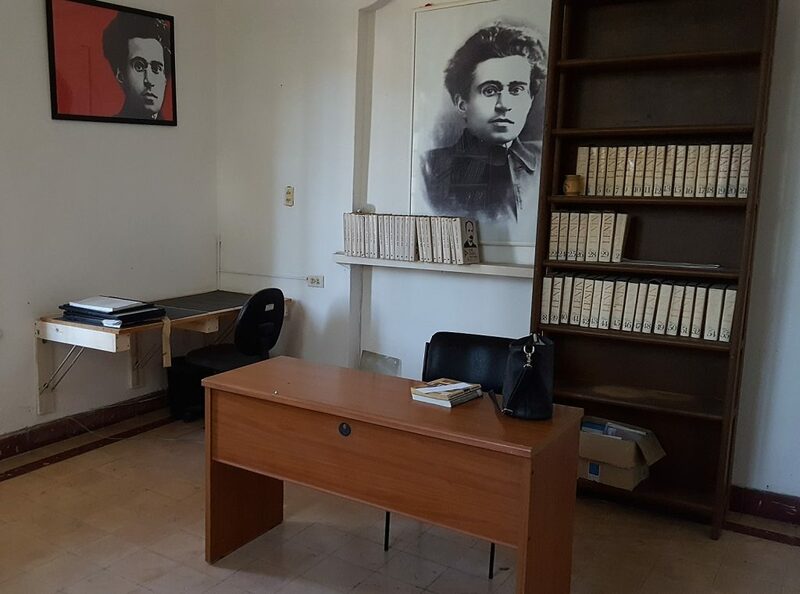 The organisation of this research trip was a bit different than the previous ones since I could this time benefit from the precious help of my French colleague anthropologist Kali Argyriadis who lived in Cuba for many years and studied Afro-Cuban dances and religions. 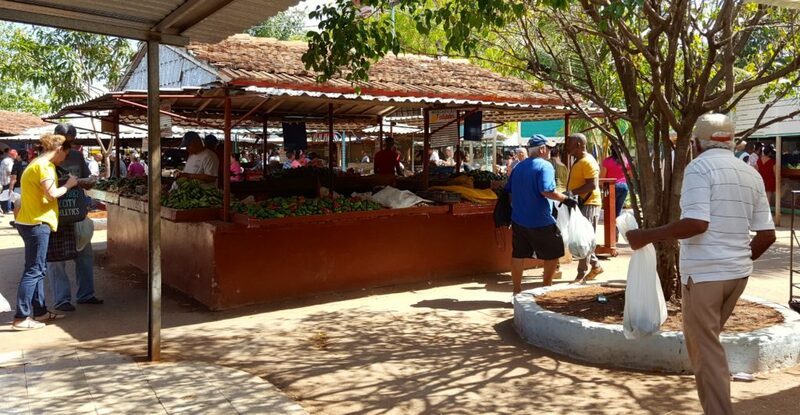 Thanks to her insights and her network among the santeros as well as her knowledge of the santeria tourism circuit, I could get a glimpse at these activities. 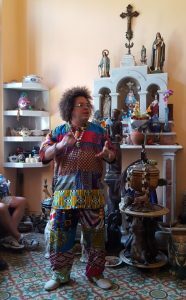 I could even follow a group of American tourists in a ‘brujo tour’ (witchcraft tour) led by historian Elías Aceff Alfonso, one of the main protagonists of the Callejon de Hamel. I lived this time in the area called Buenavista, discovering then another part of the very extended city of Havana. Rather different than the feeling I previously got in Habana Centro and Vedado, I got interestingly exposed to another pace of the everyday life. Despite this new environment and the need to understand the routes of the maquinas, I quickly took up again my dual research routine that makes every day very long and tiring! 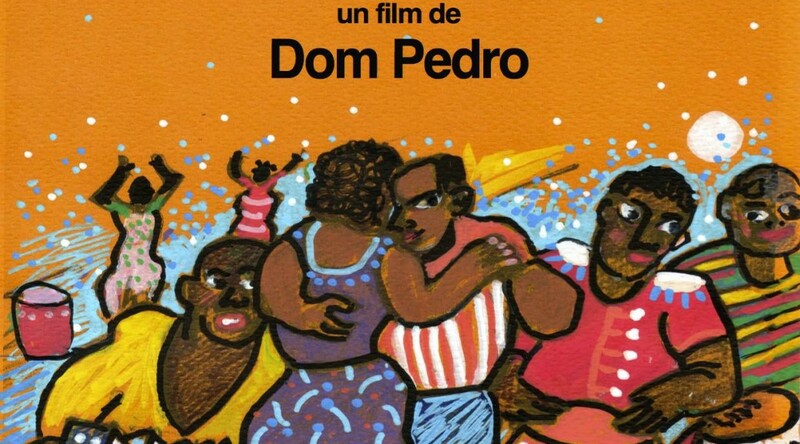 On the one hand, it consists at looking for traces of the cultural exchanges between Cuba and West Africa in the archives and institutions and finding people to talk to about all this as well as other aspects pertaining to the dance research at large. 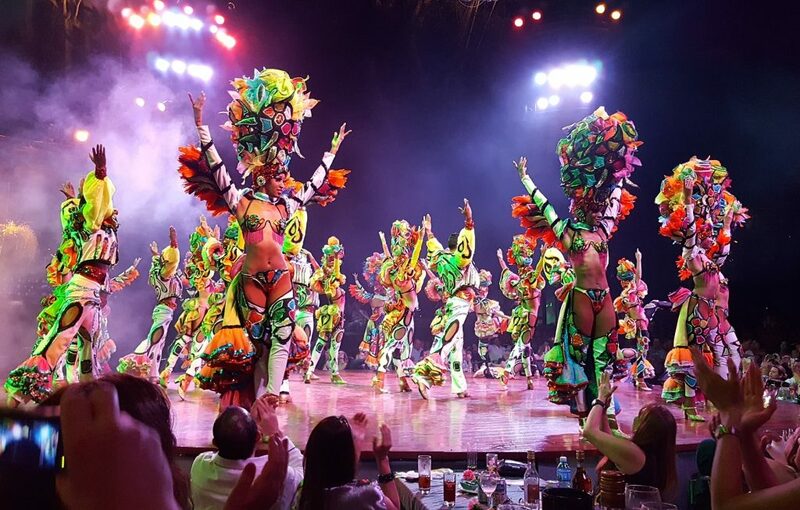 On the other hand, it is about rushing from one ’matiné’ to a ‘noche’ in different parts of the city and looking for different kinds of social dance events as well as their use and representation within tourist hotspots. 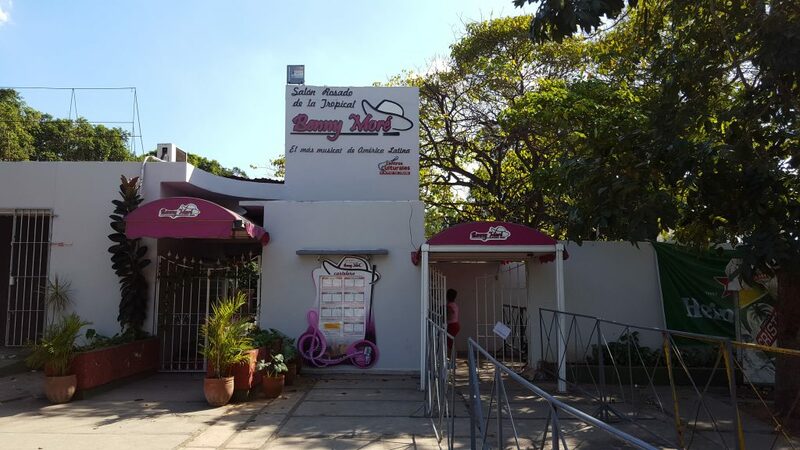 In addition to the venues I visited the previous years, I could also discover some new ones thanks to being based in another part of Havana. 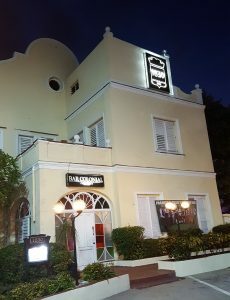 And this time, I was lucky enough to be finally able to go to the venue called 1830 on the Malecon that holds salsa parties. During my previous stays, the site was closed for refurbishment. The first event I attended there was very interesting, especially for the contrast it offered by comparison with the matiné at Salón Rosado de la Tropical Benny Moré from where I was coming. There, the all dressed up ‘viejitos’ were dancing son to a live band composed of young women that I already saw performing last year. 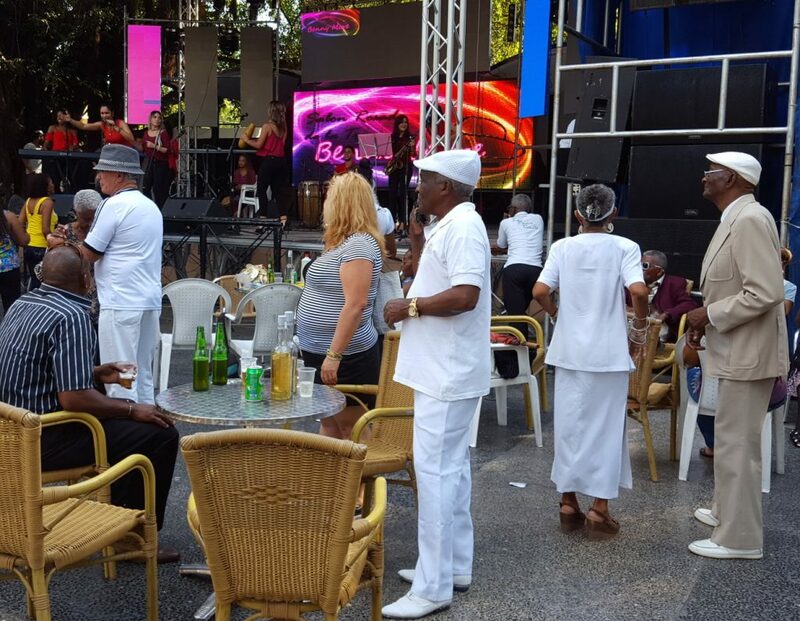 At 1830, the crowd was much younger and composed of a mix of Cuban and foreign salsa aficionados. 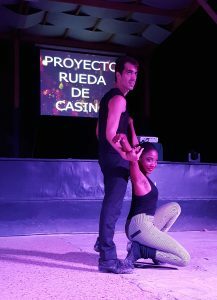 Interestingly, the shows offered at 1830 were made by the same group of dancers promoting Rueda de Casino I previously attended at other venues. By recognising faces on the dance floor in the different places I visited, I realised that my frequentation of different music dance venues and my stubborn chase after all kinds of music dance events eventually gave me a picture of who’s who and where. By linking faces to places and events, it outlined an understanding of how different groups of dancers interact in specific places while they also cover different territories in the city. Therefore I feel that I now got a quite clear idea of the salsa map of Havana. It takes into account the different organisers as well as the different crowds they attract depending on the weekdays and times, the kind of venues and their emplacement in the city. The apprehension of how dance interacts with the urban space and how the study of dance in a given city actually outlines for the researcher a geographic sense of space, flows and circulations, always fascinates me. 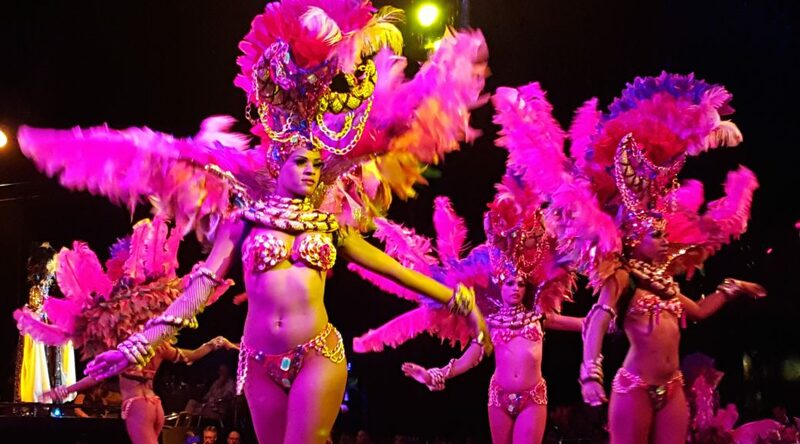 I benefited from my localisation in Buenavista to do some research on the legendary Cuban cabaret Tropicana. 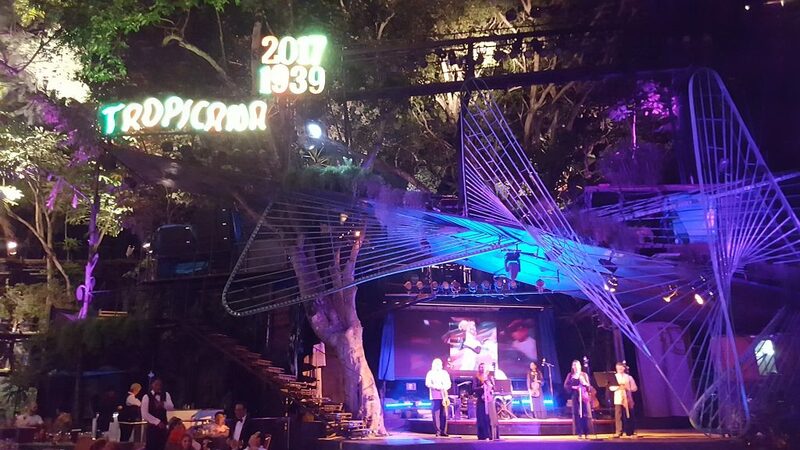 Opened in 1939, the open air theatre “Paradise under the stars” (“Paraiso bajo las estrellas”) can welcome more than 1000 seated audience members. It survived Castro’s revolution and actually became one of the main sources of foreign currency in Cuba, becoming a kind of temple of capitalism and tourism, where coca cola is poured away and entrance tickets are excessively expensive. The impression of abundance and luxuriance is replicated on stage with the impressive number of dancers and the exuberance of costumes. 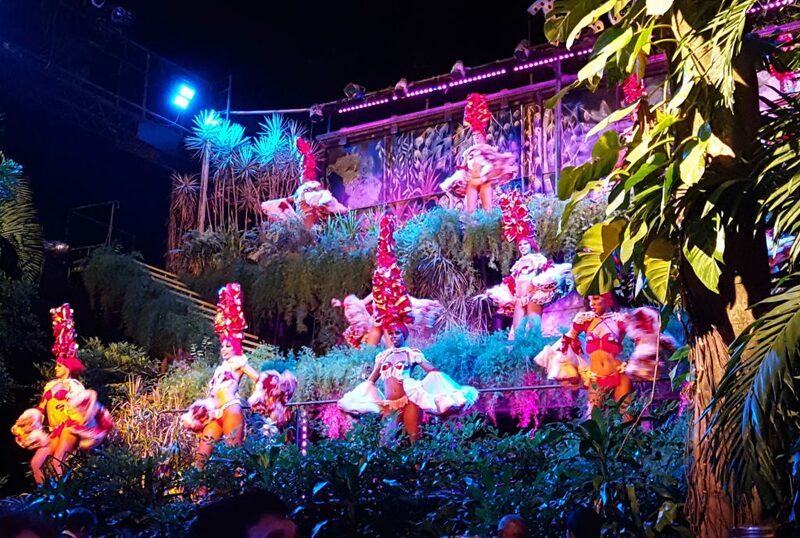 Music, dance and lights overwhelm the senses while the audience, mostly composed of retired couples on holidays, enjoy their Cuba Libre drinks. 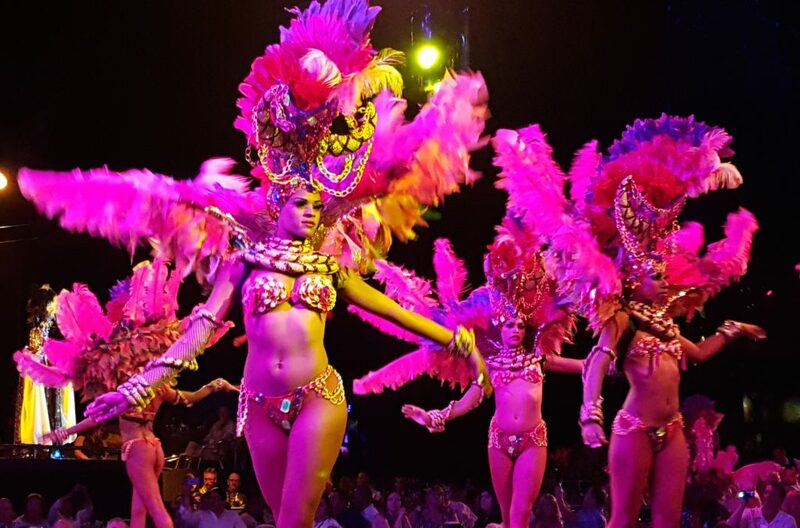 With dancers meandering along the aisles and performing on all sides of the open air stage, dancing bodies fulfil the whole space of the cabaret to offer an almost 2 hour-long show. 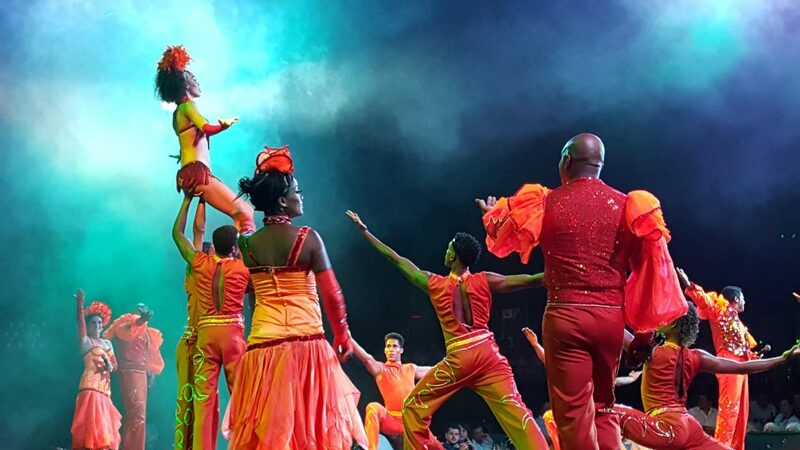 Entitled Oh Havana!, the show celebrates the different Cuban music dance genres and seeks to showcase the diversity as well as the mixed historical background of the Cuban society. 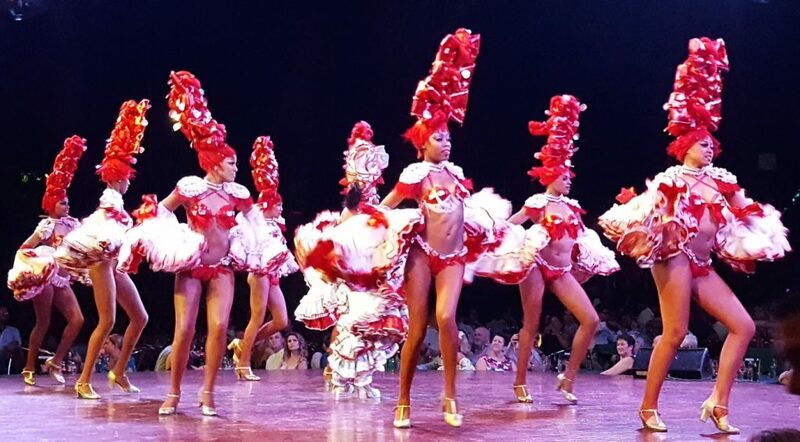 It also emphasises some clichés such as the beauty of the Cuban mulata and what is referred to as “Afro-Cuban eroticism” in the programme note, visible for instance through the display of muscular dancers whose bare skin is hardly covered by leopard print minimalist outfits to evoke the time of slavery. In these acts, the show enacts some essentialist symbols that are constructed through choreographies, music, song lyrics, dancers’ bodies and costumes, and relayed as such to a foreign audience keen to receive them. 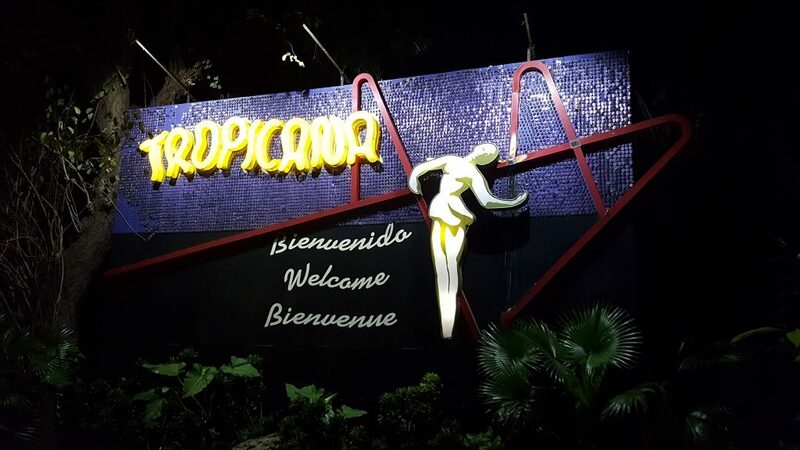 Attending Tropicana’s show and learning more about the history of this fascinating institution was very telling about the use and representation of dances within touristic settings as well as about a broader political and economical ambivalence. The contrast between the image of opulence offered by the Tropicana and the quotidian paucity of the working class households leaves this well-known predicament that travellers able to afford the touristic hotspots as well as navigate their way off the mainstream touristic circuits may experience in any other part of the world. During this stay I could go deeper into research leads I found out previously and also discover some new threads to follow up. While getting exposed to another part of the city, I learnt more about the everyday life, from the use of the ration card to the disarming poetry of the art of the piropo (men’s flirtatious comments). 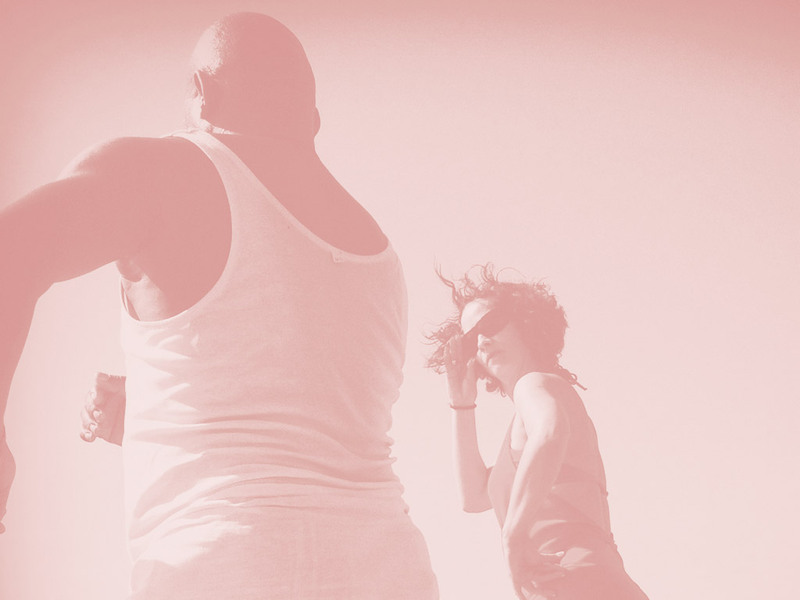 With proper answers always difficult to get and ever-increasing questions to dig out, each stay in Cuba provides me with a more complicated apprehension of the social context that in turns informs the current music dance landscape as well as its history. Thrilled by my new discoveries and a deeper understanding of the issues at stake, I feel the need to go back there to continue my research maybe more than ever.